Are your awnings looking old and faded? Awnings in Queen Creek, Arizona can become old and dirty fast from the Arizona sun and desert dirt in our Queen Creek air. 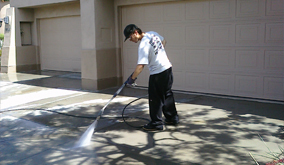 AZ Power Wash Pros specializes in awning cleaning and awning sealing services in Queen Creek, Arizona. We use low pressure washing techniques to lightly clean the outsides of the awnings. Next we use soft bristle brushes and scrub the exterior of the awnings with a mild detergent that is environmentally friendly. After spraying off all the debris and scrubbing the awnings thoroughly we then apply one last rinse to the awnings using low pressure. If necessary, we will hand dry the awnings with micro-fiber clothes to make sure no hard water stains are left after our awning cleaning is completed. 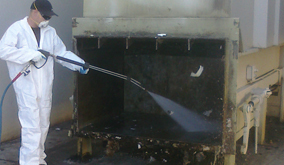 The result of our awning cleaning process is clean and shiny awnings that look brand new again. We also offer awning sealing services in Queen Creek. After cleaning your awnings we can apply a sealant to help protect the awnings from further damage and maintain a clean and shiny appearance all year long. Call today for a quote! 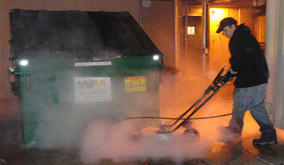 Call AZ Power Wash Pros for commercial awning cleaning services in Queen Creek, Arizona.